The process of transferring the real estate property to first degree relatives is considered as Gifting of property. Property gifting in dubai is possible to immediate blood relation like parents to children and vice versa, husband to wife and vice versa, according to Dubai Land Department (DLD) siblings are not considered to be a first-degree blood relation. To prove the relation the owner needs to produce documents like an attested birth certificate or marriage certificate. Property Gifting In Dubai is also possible for a company (for Dubai properties preferred would be JAFZA offshore) owned by the same person holding property or his immediate blood relation. Planning on the inheritance of real assets has often proven challenging to investors in UAE jurisdiction, as for non-Muslims have options of executing a will to protect their assets and make sure the rightful successors get what they deserve. For Muslims wills will not be an option, most of our clients own their property through a company (for Dubai properties preferred would be JAFZA offshore) dividing the shares of the company as they will and control the property. The added advantage would be that a minor can be a shareholder in JAFZA offshore and signing authority would be their parents. Normally investor owns the property through JAFZA Company in an numberattempt to avoid TAX and to tackle challenging international inheritance procedure. Further, as I am not an expert in succession planning would suggest you to get a consultation from professionals. In last few years increased numbers of investors seem to carry out this process, which is straight forward if you are well aware of what you are doing and have enough time to complete the process which takes not less that 4-5 weeks. 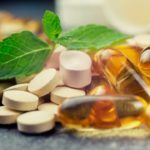 In most of the cases ,investors and indeed the brokers are not unfamiliar or may not have enough experience to carry out the process, which may delay the process. Further ,in this article mentioned are some details of document required and audience which will help you to carry out gifting of property. There are a few rather lengthy process to complete the property gifting in Dubai, it starts from acquiring evaluation certificate from the land department which determines the current value of the property, as we are aware that the property value is fluctuating the evaluation certificate is valid for 6 months, this process takes 8-10 working days and costs approximately AED 4020 for residential and AED 6020 for commercial property. NOC from the developer is one of the requirements from the land department and also the trustee for property gifting in Dubai. This is basically a letter which confirms that all the maintenance bills have been settled and the developer has no objection on the transaction taking place. Some developers demand advanced settlement of maintenance fee up to 6 month. The cost of the same also varies according to the developer, which ranges between AED 500 to AED 4000. The time frame for the same will be between 2-10 working days. It is crucial to understand that the land department charges a percentage of total property value as a property transfer transaction fee. For normal sale or transfer of property you will have to pay 4% and for property gifting in Dubai, it is 0.125% and AED 540 admin fee. The charges for the trusty will depend on the value of the property, for property value below two million they will charge AED 2000 and two million and above will cost AED 4,000. All the parties involved in the transaction need to visit the above mentioned authorities in person. Since the process of property gifting in Dubai takes at least 3-4 weeks, the client needs to plan their trip accordingly or they need to make multiple as and when required. 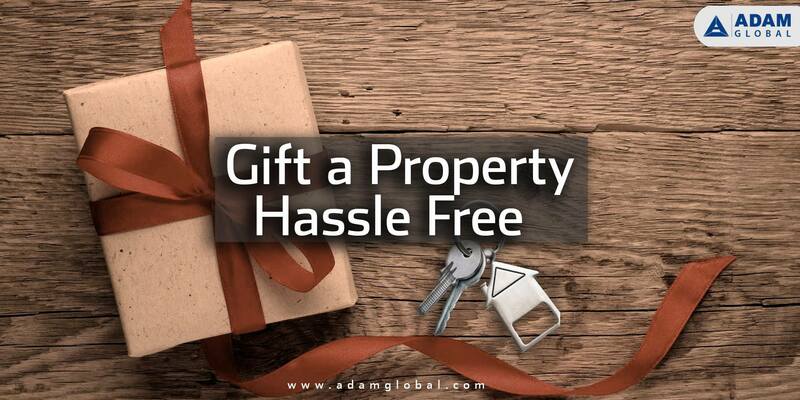 This is where ADAM Consulting can help you in property gifting in Dubai, we have been in UAE market for last 15 years and our highly professional consultants are well aware of all the procedures and who understand the client’s requirements and try to meet the deadline with the help of experienced operations team who are experts in their field can carry out complete process on behalf of the client. Further, regarding the gifting of the property, we only require POA of the transferor and transferee With the help of POA executed in UAE court or/if executed out of UAE then attested by UAE embassy, can represent you in all the departments and carry out the entire process with no hassle.